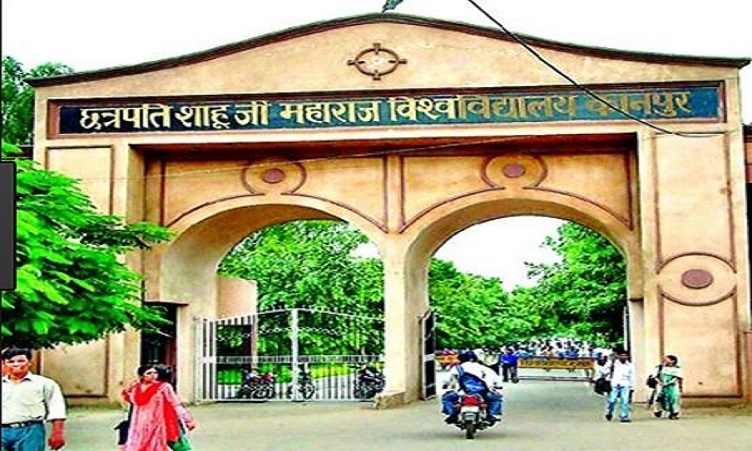 Chhatrapati Shahu Ji Maharaj University, CSJM Kanpur was established in the year 1966. Now, it has 160 affiliated colleges in 15 districts. The University has been making continuous efforts to improve and upgrade teaching facilities. It stands as a hallmark of higher education. The University tries and aims to contribute to each and every student through the curriculum design of the courses. CSJM University looks forward to the innovative teaching methodologies. The University caters to the student’s needs at par with global demands. The University has got an approval from the University Grants Commission [UGC]. CSJM University has 160 affiliated colleges. Chhatrapati Shahu Ji Maharaj University, CSJM Kanpur Admissions are for B.Tech, MBA, BBA, BCA, B.Ed, Diploma, MA, M.Pharm, M.Phil, etc. The candidate should have done 10+2 with Mathematics and Physics as compulsory subjects scoring at least 50% in aggregate. The candidate should have scored a good rank in UPSEE. The candidate should have done Bachelor’s Degree with 50% aggregate marks. The candidate applying for should have done 10+2 from a recognized board. The candidate should have a valid score in the Entrance Exam conducted by CSJM. The candidate should have done 10+2 with Mathematics with at least 45% marks. The candidate should have qualified in the entrance exam conducted by CSJM. The University has an auditorium with a seating capacity of 1500 audience. It is painted with lively colors. The auditorium is centrally air-conditioned. The cafeteria is a place to relax after long hours of study. The canteen serves good food at an affordable price. It is large to accommodate many birthday parties and all. Chhatrapati Shahu Ji Maharaj University has a central Library which provides many books and journals. It has a collection of over 85,000 books. It also has online open access to students and staff. The central library has its own computer subnet with modern Cat-6 network technology. CSJM has three well-furnished hostels for girls and boys separately. The hostel can accommodate about 500 girls and 400 boys. The hostels have also mess facilities at affordable rates. It provides 24 hours of power supply. The hostel has a common hall, TV room, TV room, reading rooms, telephone, recreational, and sports facilities. CSJM University has established the University Placement Cell [UPC] to provide job opportunities not only to the students of University campus but also to the students of all affiliated colleges. UPC also organize career counseling, personal development, entrepreneurship development program, and placement drives at the university campus to train the students. Babasaheb Bhimrao Ambedkar University, [BBAU] Lucknow is an attempt to actualize the ideal of Dr. BR Ambedkar, the father of the Indian Constitution. University endlessly works towards inculcating and imbibing the values of an egalitarian and harmonized society. As a result, every academic aspect of BBAU, Lucknow, in its essence, carries out the philosophy. BBAU, Lucknow offers many graduates, postgraduate and even doctoral degrees across various disciplines. It caters to over the 4500 students from the across the nation. Furthermore, the campus at BBAU is over 200 acres of providing the latest of facilities. At Babasaheb Bhimrao Ambedkar University, BBAU Lucknow the admission procedure is fairly simple and unique. The students need to pass the entrance exam with good grades, as it forms the basis of their admission here. Also, the entrance exam changes depending on the degree opting for and so does the eligibility criteria. The entrance exam consists of objective type questions with negative marking. Candidates can apply for admission on the university’s official website. Rounds of counseling act as a factor for admissions as well. Consequently, after all the steps and procedures, a candidates admission is determined at Babasaheb Bhimrao Ambedkar University, Lucknow. Due to their stringent admission procees, the best candidates are taken in. Finally, the admission process comes to an end when all criteria are successfully met. Firstly, BBAU, Lucknow offers various courses on the UG, PG and the Doctoral level as well. Adding on, the university has courses in the fields of Science and Technology, Arts and Humanities and even on Business. The campus has various schools each taking care of respective subject. Therefore, BBAU caters to a wide range of student demography. Home sciences and many more. BBAU, Lucknow has changed with time. It has become more technologically advanced and student-centric. The 250-acre campus has many facilities for all the students on the campus. It has a fully equipped modern computer lab which eases the process of learning. Students from different cities and states take the hostel option. Because of the hostilities, the hostel buildings are fully furnished and also have LAN connection. Almost all the buildings have good LAN connections. The library is a great window of learning as it consists of books of various happening subjets. Addin on, there are even Student Welfare Zones, Health Care facilities, and even a modern-day Gymnasium. Therefore, BBAU Lucknow provides ample opportunities for the development of the students. Certainly, it is among the best campuses. The placement cell of BBAU, Lucknow came into existence in the year of 2007. Since then, its primary focus is to develop the students to face the recruitment process and to provide them with the appropriate skill set. Furthermore, this cell not only scouts placement offers but also internship offers for its students. Therefore, the students are given proper training, guidance, and preparation. Due to their constant efforts, most noteworthy companies like – OYO, TCS, etc. come for recruitment. The establishment of Jamia Hamdard University New Delhi was in the year 1989. Moreover, it was inaugurated by Late Shri Rajiv Gandhi. Jamia Hamdard University has been accredited by NAAC with ‘A’ grade. Also, it considered as a seat of higher learning in Islamic, Unani Medicine, Pharmacy, Nursing, Biosciences, and other areas of knowledge by its founder as a means of fulfilling the objects of the wakf. Since the last ten years, Information Technology and Computer Applications and Post-graduate programmes have been started; together with that, Jamia Hamdard University New Delhi has started with Physiotherapy and Occupational Undergraduate programmes. The doctoral programmes and postgraduate provide advanced infrastructure facilities. The Jamia Hamdard University New Delhi Admissions, requires a candidate to go through the counseling procedure. Moreover, the candidate can also apply online by filling online application form from the official website of Jamia Hamdard University, New Delhi. The applicants seeking admission to the program must have passed Senior Secondary (12th/ Intermediate) examination with Mathematics/ Biology. It is mandatory to pass from a recognized board. To get admission in Jamia Hamdard University New Delhi, the applicants should secure at least 50% marks or equivalent CGPA aggregation. The applicants should appear in NEET Entrance Exam. The applicants should Complete the age of 17 years. And also should qualify for the Senior Secondary examination with Physics, Chemistry and Biology/ Mathematics with at least 50% marks from Central Board of Secondary Education or any other examination recognized. The candidate should Pass the 12th standard examination with Chemistry, Physics, and Biology from Central Board of Secondary Education with a minimum of 45% marks for Jamia Hamdard University, New Delhi. The candidates should qualify B.Pharm/ B.Pharm (Unani) examination recognized by Jamia Hamdard. However, the candidates securing at least 55% marks in the aggregate of theory papers and practicals are eligible. And also, the applicants should appear in GPAT Entrance Exam. Additionally, preference will be given to GPAT qualified candidates. No educational institution is complete without adequate facilities for co-curricular and extracurricular activities, the university provides extensive facilities. The university also has a fully equipped hospital complete with all modern diagnostic pieces of equipment, for providing medical facilities, to its employees, etc. Jamia Hamdard University New Delhi consists of 6 faculty libraries and one Central Library. Hakim Mohammad Said (HMS) Central Library is the name of the central library. This institute has excellent library facilities for all the courses available in the academic year. It also has an Islamic Library section. Jamia Hamdard University New Delhi consists of 7 Separate hostels. Moreover, there is a LAN and WiFi connection, comfortable beds in all the seven hostels. On the other side, the mess facilities are preferable. PESIT Bangalore was established in 1972. This college focuses on four main educational areas: Engineering, Medicine, Management, and Life Sciences. Moreover, the institutions offer both foundation courses in these areas. Along with specialization with a Bachelors/ Master/ Ph.D. Degree. 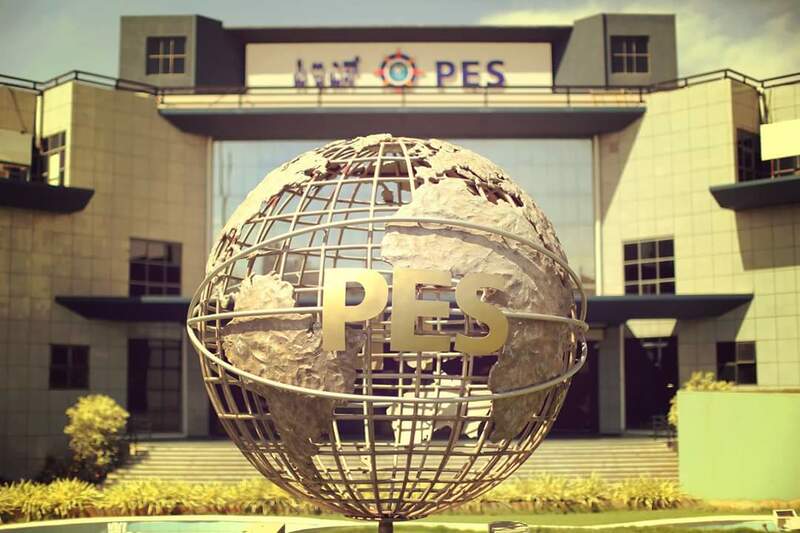 However, with combined years of experience in education with a unique curriculum world-class infrastructure, and also with a committed responsive faculty, today PES has more than 18,000 students and spread across four different campuses. Including three states of art campuses in Bangalore and a Medical College with the 750-bed hospital in Kuppam, Andra Pradesh. Furthermore, the mission of the institute is to provide students with a sense of history. On another hand, the institute also understands the values and ethics. To put in another way, the institute is the commitment to law and morality. The institute also appreciates human creativity and an analytical inquiring mind. Moreover, the quality policy of the institute is to develop highly skilled people. Also, it has the ability to adapt to an intellectually and technologically changing environment. Apparently, it allows opportunities for students to participate in various activities. Overall, this college produces the best industry ready graduates. PES Institute of Technology, PESIT Bangalore Admissions can be done for both UG and PG courses. The most important thing, the staff will be on hand to help with any queries relating to PES, its departments, and campuses, and to help guide you through the application process. It is important to choose a program/vcourse: You can find this information on the Programs page on the official website. Also, the candidate must check the requirements and eligibility criteria for the admissions. PES University Programs require you to take an online written test PESSAT. First, the candidate must register for PESSAT Test. All Engineering PESSAT tests will be conducted online. PESSAT for BTech, BBA, BBA-HEM, B.Des, MCA, MBA, and MTech will be held on campus. All MTech courses will honor both GATE and PGCET Scores along with PESSAT. MBA will honor scores of MAT, CAT, CMAT, PGCET, GMAT, and GRE along with PESSAT. NOTE – PESIT, South Campus will not require PESSAT Tests, CET and COMED-K will continue to be used as this college are under VTU affiliation. Another round will be an interview – After taking PESSAT, the candidate shall go through a short interview on the same day of the test on our campus. Finally, the Confirmation/ Rejection mail will be sent to the candidates. Along with time technology is fast becoming ubiquitous. Hence, the educational environment is no exception for technology. However, the college strives to make learning more creative, interactive, and information driven by using sophisticated delivery techniques. Moreover, the lab has 40 different computer labs across the campus. The libraries at PES occupy over 50,000 square feet and provide students with access to a vast repository of resources. Moreover, these peaceful, sun-lit areas provide ideal study spaces. Also, the library remains open until midnight on all days. Also, the library is fully automated. The establishment of Vasavi College of Engineering Hyderabad was in the year 1981 and was founded by Sri Pendekanti Venkatasubbaiah. The college represents a rich tradition of excellence in technology. It was then conferred with Autonomous Status by UGC, Hyderabad and Osmania University, New Delhi. Moreover, the university has been implementing a CBCS Education system since the academic year 2016-17; which will bring a lot of changes to the education system of Vasavi College of Engineering Hyderabad. 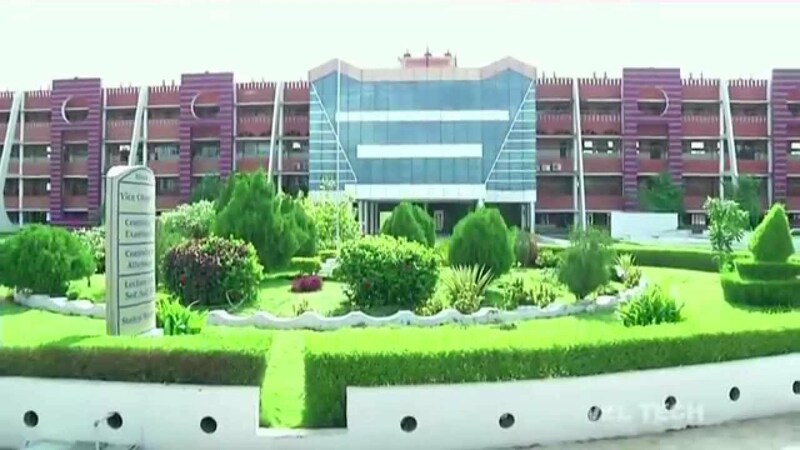 Vasavi College of Engineering Hyderabad has completed 35 years of service to society and executed as a well-reputed college in the State of Telangana. They have awarded a 3rd ranking in the State and 32nd in the country in the year 2009 for the quality in technical education. There are six (EEE, IT, CSE, Civil, Mechanical, and ECE) undergraduate courses offered by Vasavi College of Engineering Hyderabad. The intake for UG is 600 students and for PG is 156. Post-graduation courses offered are M.Tech, ME, and MCA. It is mandatory to all the students that qualified from CET ranking system. Moreover, Vasavi College of Engineering Hyderabad is located in the sylvan suburbs of Ibrahimbagh in Hyderabad has a 13.6 acre campus with a beautiful landscape, lush lawns, aesthetic architecture infrastructure. For the Vasavi College of Engineering Hyderabad Admissions, the candidate needs to go through the counseling procedure. Also, the university prefers CET qualified high ranking candidates. Moreover, the candidate can also apply from online by filling online application form from the official website of Vasavi College of Engineering Hyderabad. The candidates should pass 12th with mandatory Physics, Mathematics, and Chemistry from the Board of Intermediate Education. Category A candidates should score in state level entrance test EAMCET. Category B get admission by the Managment quota. MCA applicants it is mandatory to pass 10+2+3 or equivalent to Mathematics as one of the subjects. Category A candidates should score in state level entrance test ICET. Rest Category B get admission by the Management Quota. Candidates should score in state level entrance test GATE. ME Applicants should have AMIETE or a similar qualification recognized by Osmania University. It is compulsory for all the candidates to pass B.E./ B.Tech from Osmania University in ECE. It is compulsory for all the candidates to pass B.E./ B.Tech from Osmania University in Mechanical Engineering/ Production Engineering. Vasavi College of Engineering Hyderabad does not provide any hostels facilities. However, there are many private hostels nearby the university with good facilities, reasonable cost. Along with world-class beds and mess system canteens. Vasavi College of Engineering Hyderabad has well Equipped and full stocks of technical reference books. Moreover, the university library is well ventilated. Telephone: +91 40 23146003/ +91 40 23146090/ +91 40 23146080. VelTech University Chennai is famous for its educational practices. It has been recognized and bestowed with many awards. The founders of this institution believe in Education is for all regardless of their financial condition. They make sure that they promote and uplift the society. Moreover, the institution bestows 9500 scholarships to the students. Another important thing is that it has relations with more than 300 Institutions of 30 countries. It also has MoU with 120 institutes with regards to the academic and research activities. With the help of international universities, this institute gets a collaborative platform for academic projects, exploring leading best practices, and research work. Moreover, the Institute believes that to pursuit knowledge there are no boundaries. Because of the tie-ups with the international universities, this institute will be best in providing standard education. VelTech University has been creating and translating circulating boundaries of knowledge. It also embeds knowledge with creativity and innovation which helps in the positive transformation of the society. Further, it gives students the practical experience and maximum exposure so that they realize their potential. Also, it gives impeccable and genuine support which helps students to visualize their future. Moreover, this institute excels in teaching, learning, and research. VelTech University Chennai Admissions are available for all the courses. These courses are structured around UG, PG, and Doctoral programmes. Candidates can pursue a course of their choice. Only those students can apply for VITUEE who are appearing in the final exams of 12th. The students must obtain 50% in MPC in 12th for the admission in BTech. For considering the award of the Vel Tech Mahatma Gandhi National Merit Scholarship, the state in which the candidate appears for the 12th exam will be taken that state as the native state of the candidate. 12 by any state board or CBSE. Students who also appears for The Council for Indian School Certificate Examination or National Institute of Open Schooling can get admission. Apart from that, Intermediate or two-year Pre-University Examination or High School Certificate Examination of the University of Cambridge or equivalent is also taken into consideration for the admission in BTech. Along with that, the student must also obtain a minimum of 50% in 12th or equivalent. Candidates can apply online or offline to VelTech. The fee for the application is Rs. 950/-. For online application, candidates can visit the official website. The sports club trains the students as a true sportsman. Moreover, the Institute gives opportunities to its students to participate in every sport. The campus has a hostel for both boys and girls. Moreover, these hostels can accommodate students is comfortable and conducive manner. Also, the hostel provides great ambiance like home. The campus has 100 beds medical facilities. Importantly, it is functional 24×7. Moreover, all the hostels have First Aid Centres. Also, the campus has a physiotherapy center. Address: 34, Gandhi Mandapam Road (Next to SBI), Kotturpuram, Chennai, India – 600085.